After a lazy day at the beach, today I decided to do a day trip from Playa Del Carmen to another Mayan archaeological site, Tulum, that was about 1hr away by bus. 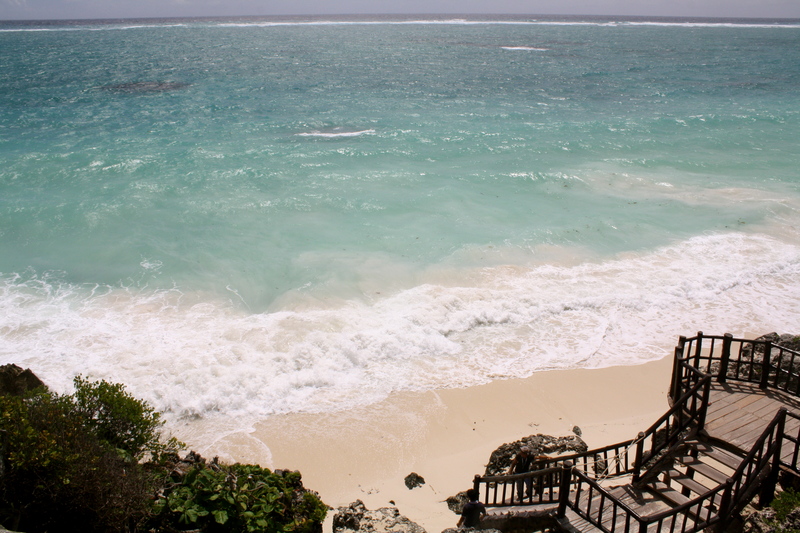 Tulum is the only Mayan site by the coast. 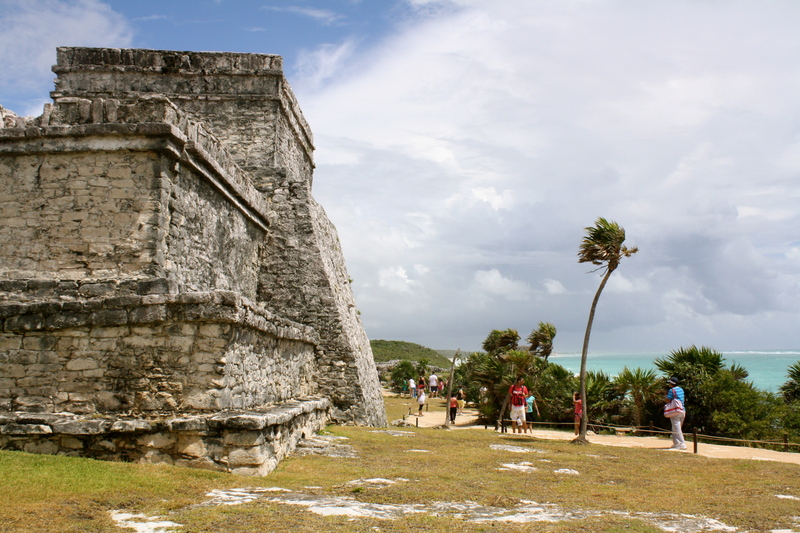 It was used as a port of exchange, and Mayans used to load their canoes from here, and hug the coastline with their canoes to conduct trade. 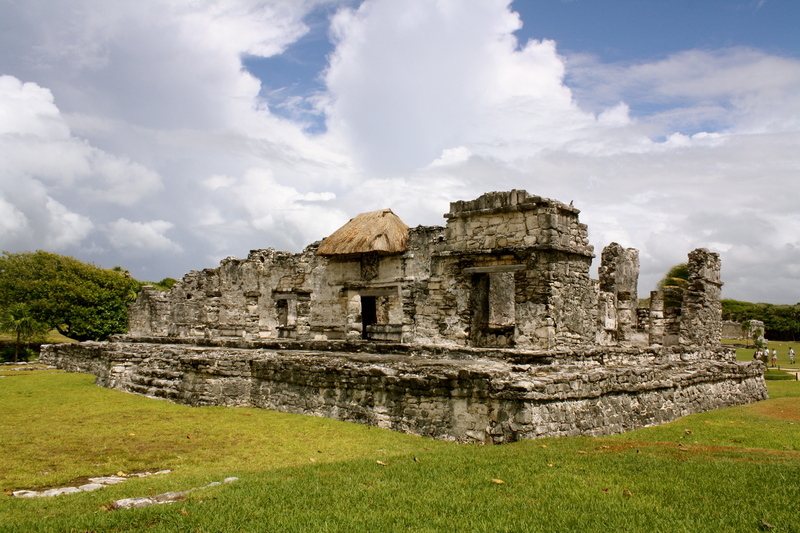 It looked a little more ‘lived-in’ than Chichen Itza, and had places like houses for elites, and temples. In other words, it looked a whole lot more functional. Life can sometimes thwart our best planning, and today is definitely one of those days that I feel that Murphy is on my case. Day after day, I have been hunting for waves, only to be answered with the calmest of waters. But today, just when I stopped looking, there were some serious waves crashing against the cliffs. Well, my rant against this cosmic joke aside, it is really amazing to think that Mayans used to go out in canoes on these crazy waves – some of them were definitely capable of breaking a canoe into half! As it did not take me too long to go through the site, I was left with nothing to do by the bus station. 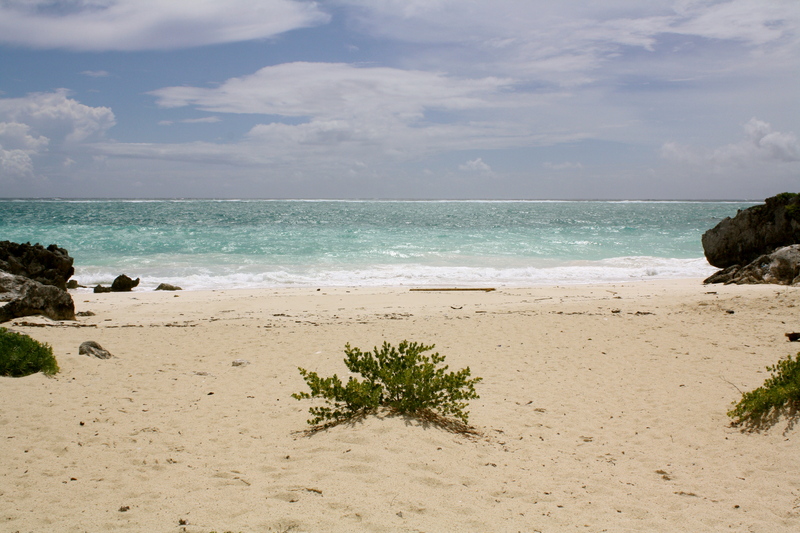 The journey times were designed in a manner whereby the earliest bus leaving from Tulum was around 1 pm, giving day trippers at least 3 hours of waiting time. What did I do? I ended up reading in the bus station by the highway. 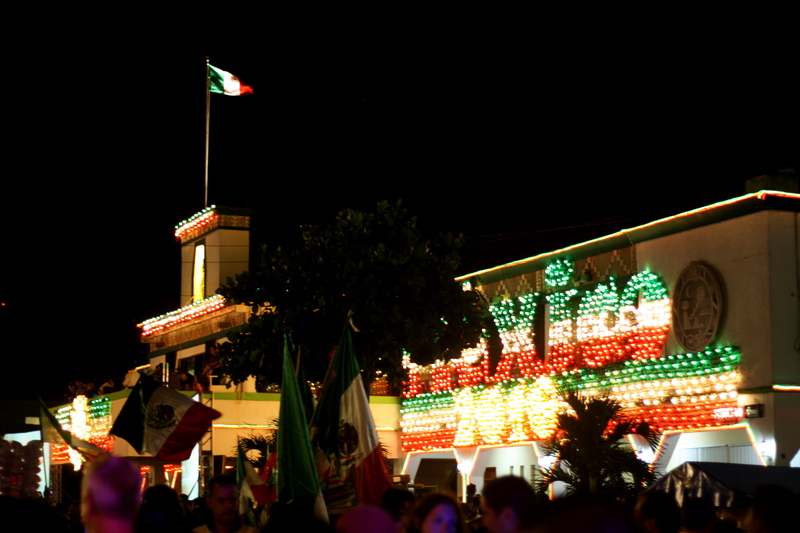 While the waves weren’t cooperation, I did get a break – with some luck, my last night in Mexico coincided with Grito (Mexico’s Independence Day), and this year marks 200 years of Mexican independence from the Spanish! 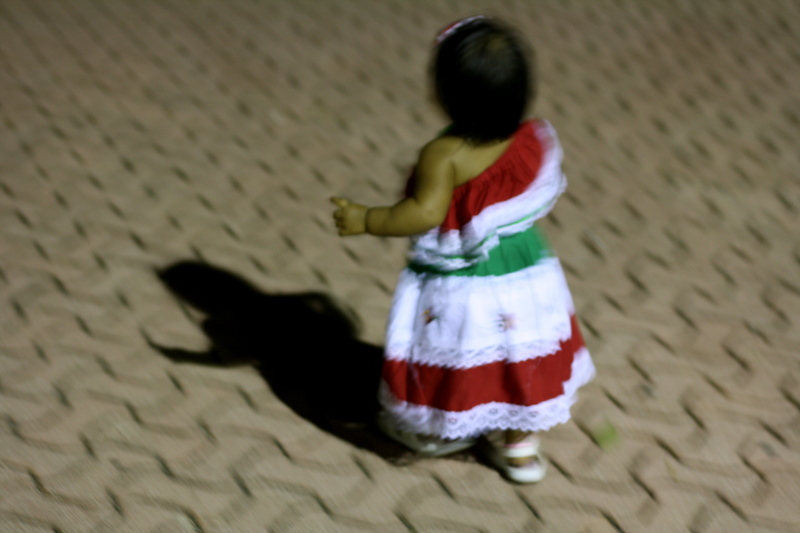 One of the interesting things about Grito is that it is celebrated in the late evening. Crowds starting to slowly stream into the square in front of the Presidential Palace starting from around 9 pm, and the inflow of people was relentless, even up to 11 pm, since the celebration is at midnight. Tired little kids with sleepy eyes and facepaint were carried by parents, who wanted to be part of the festive celebrations. 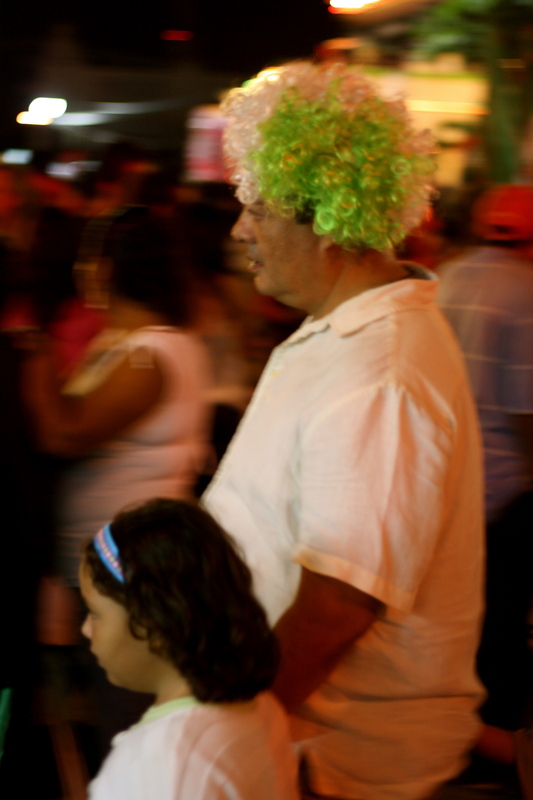 This was of course, accompanied with street vendors, who had brisk business that night. 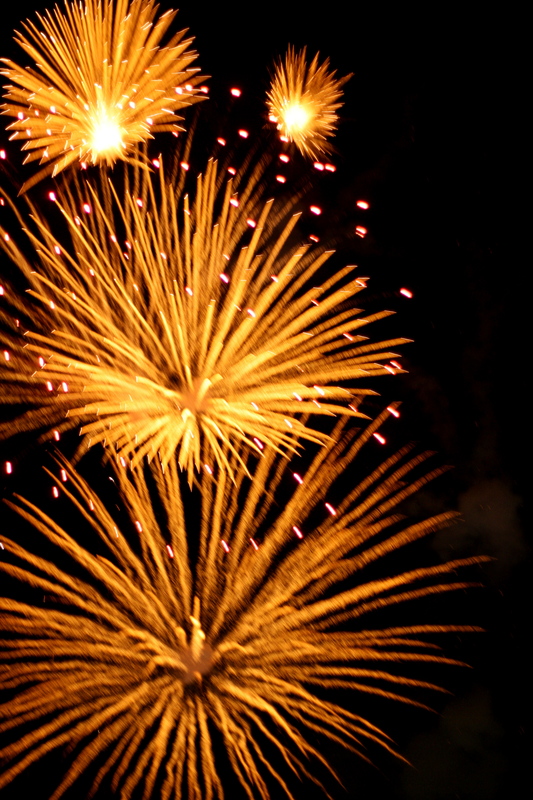 At the stroke of midnight, the mayor of Playa Del Carmen gave a speech, and there was a good 20 minutes of fireworks! It was a tonne of fun!